CCTV Security Tester is a kind of multi-function test tool for CCTV and security camera installation professionals. CCTV Camera Tester is developed aiming to CCTV security system installation and maintenance, combining the following function: Optical Fiber Communication test, low power circuit test, video test and PTZ control, and DC12 1A output for camera test, etc. Helps solving varies problem of security system. It could be also used in laboratory tests, equipment maintenance, etc. 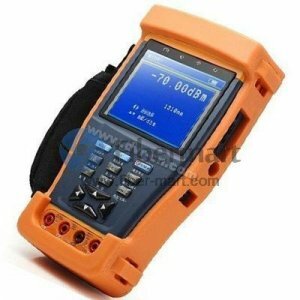 CCTV Tester is really an ideal multi-function instrument for CCTV Security System, Fiber Optical Communication, CATV and other fiber optic networks. Welcome to our store. Contact us at [email protected] or Live Chat with us. Save your money & time right now!